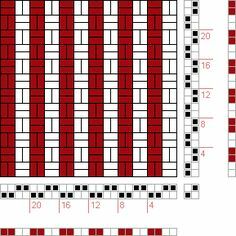 draft image: Figurierte Muster Pl. 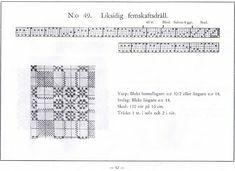 XXII Nr. 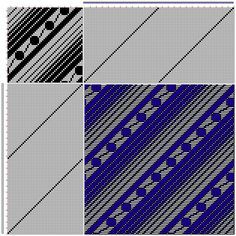 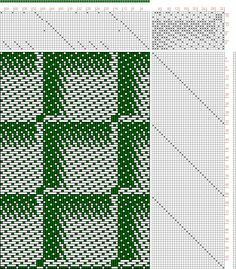 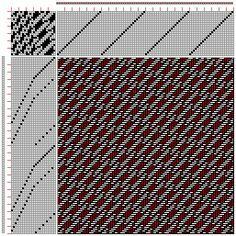 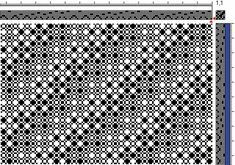 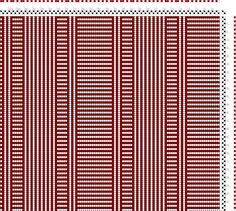 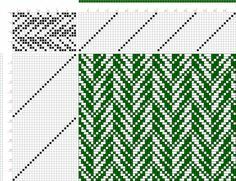 1, Die färbige Gewebemusterung, Franz Donat, 2S, 2T - this could be done with warp/weft doubled, or with string heddles, or just with warp/weft being just one end - in which case I'd use a dk/sport weight w/my 10 dent heddle. 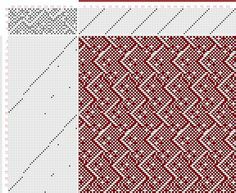 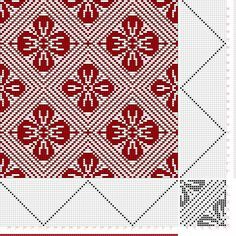 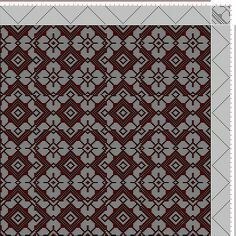 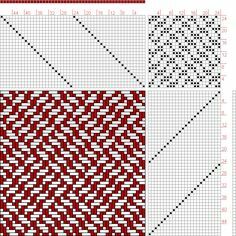 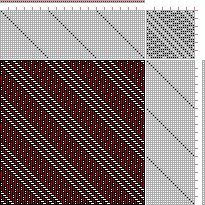 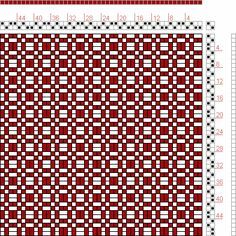 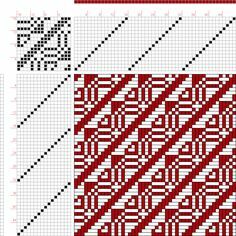 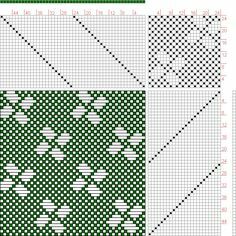 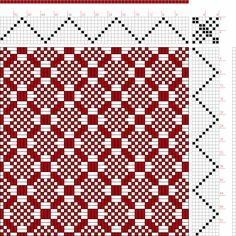 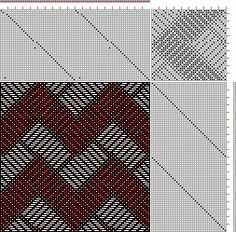 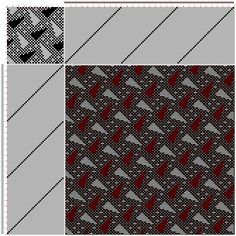 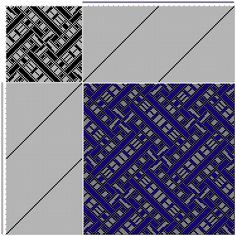 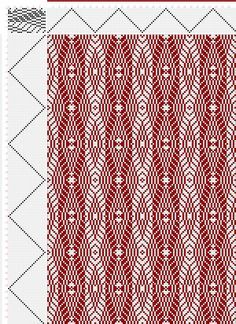 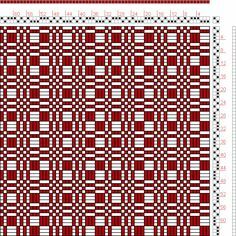 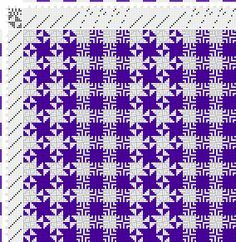 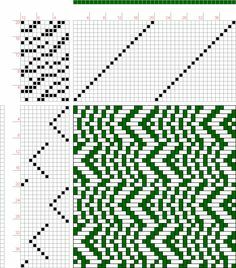 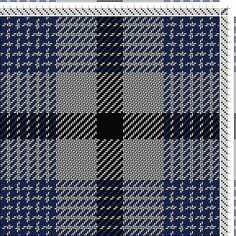 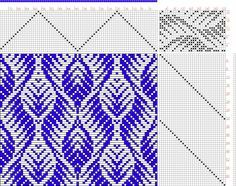 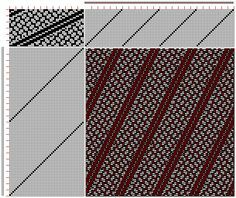 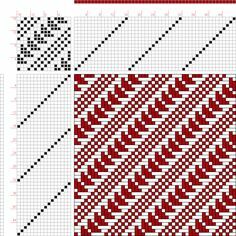 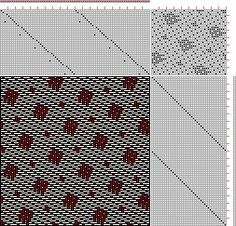 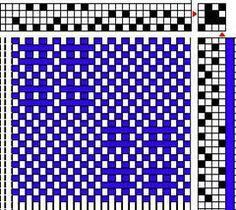 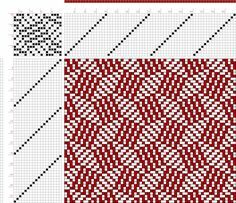 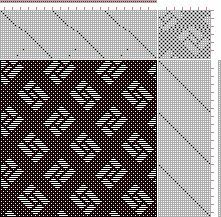 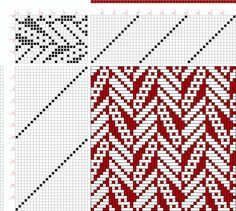 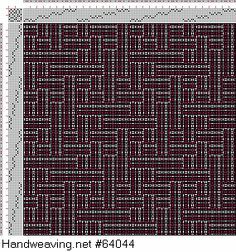 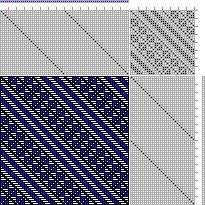 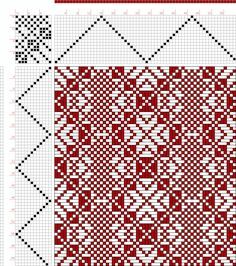 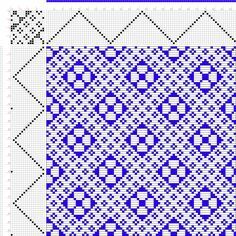 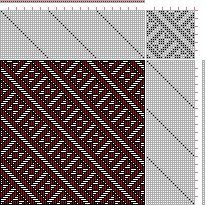 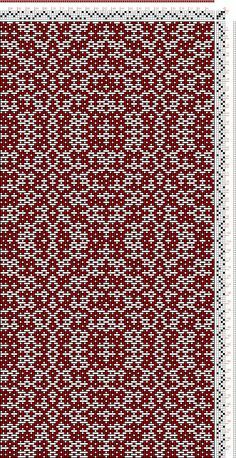 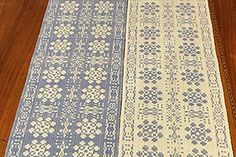 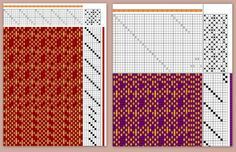 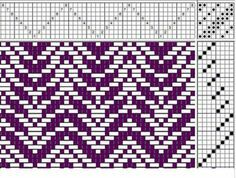 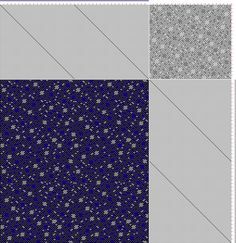 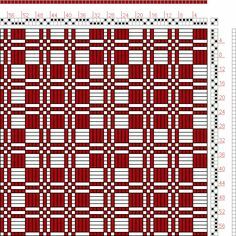 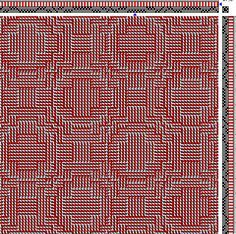 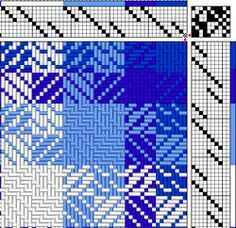 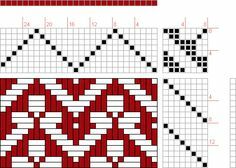 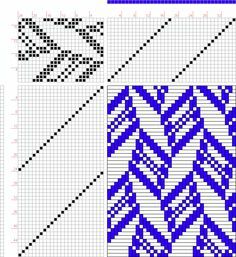 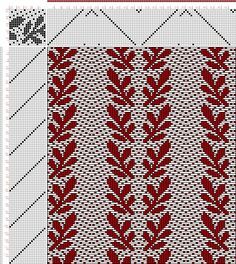 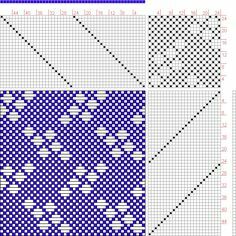 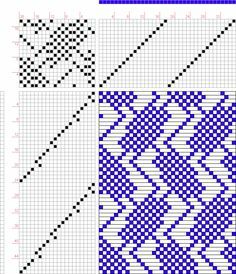 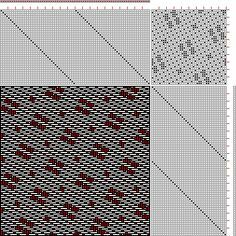 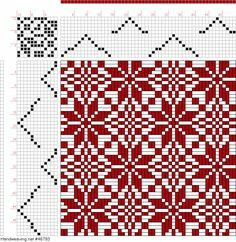 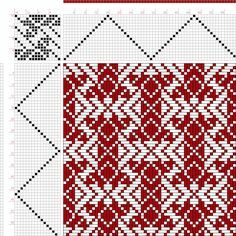 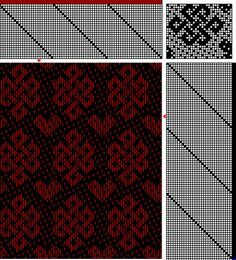 Using just two different color yarns, all of these designs can be done on a rigid heddle loom. 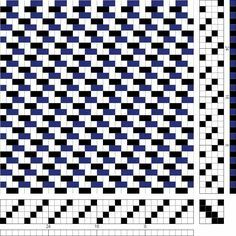 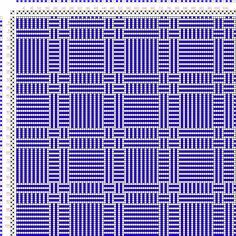 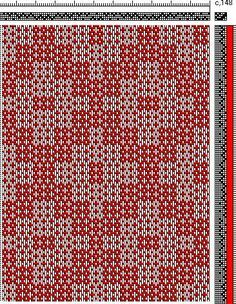 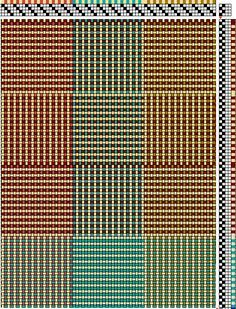 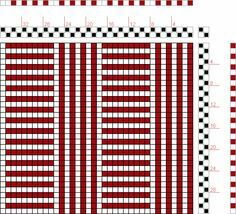 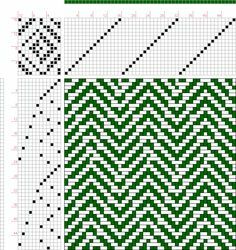 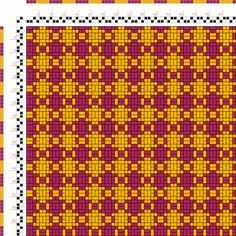 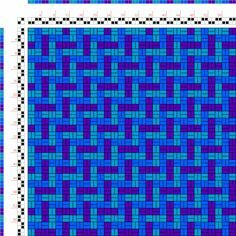 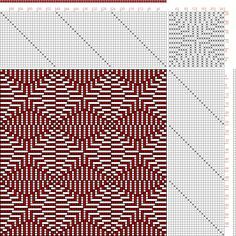 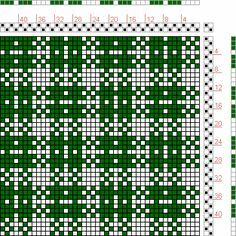 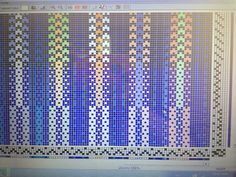 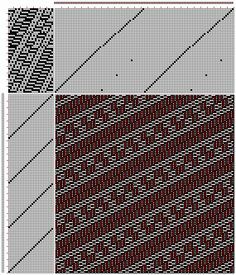 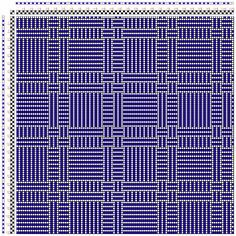 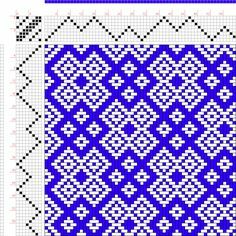 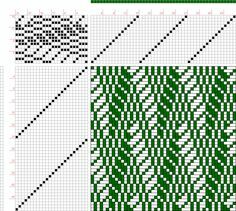 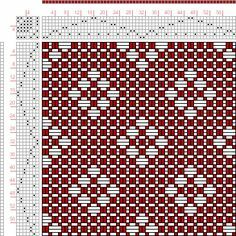 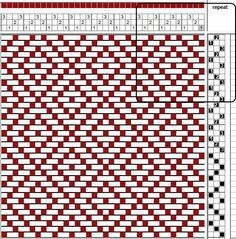 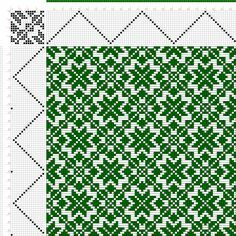 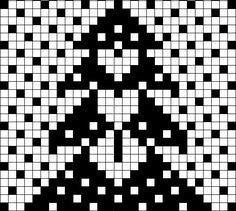 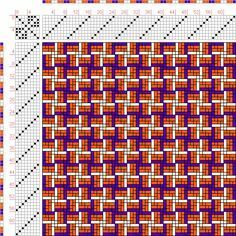 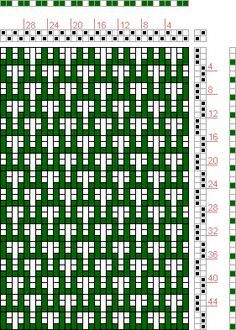 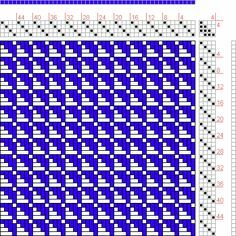 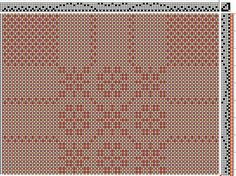 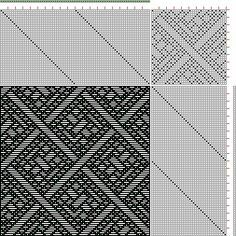 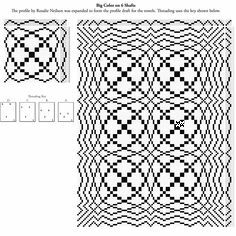 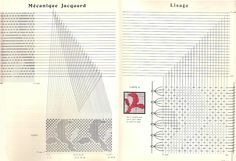 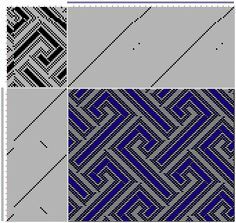 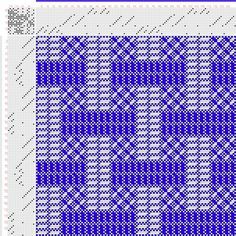 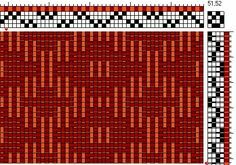 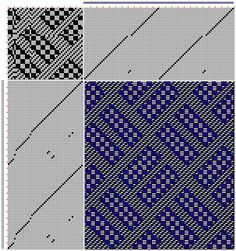 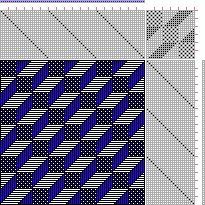 krokbragd weaving draft - I love Krokbragd Rugs. 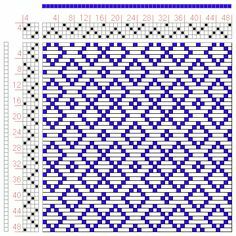 They are easy to design and weave. 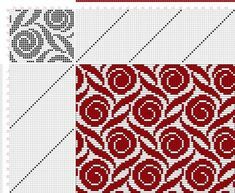 Great for color. 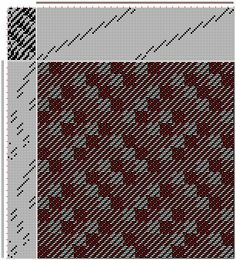 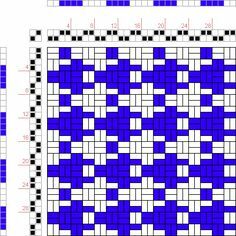 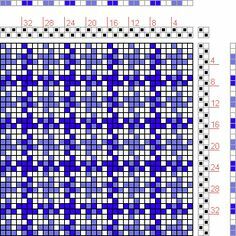 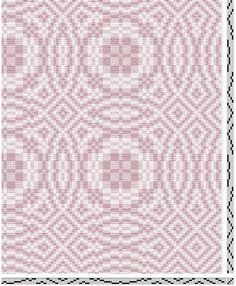 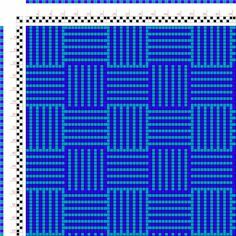 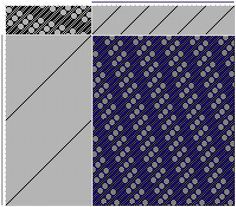 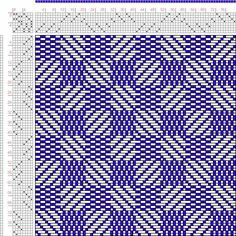 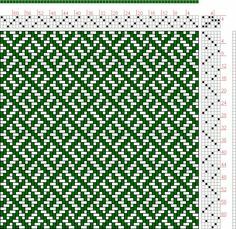 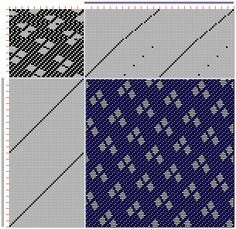 Laura Fry, expert weaver, teacher, and author of Magic in the Water, addresses some common questions about weaving drafts.